Wildlife Protection Solutions consists of a team of technology experts seeking to enhance conservation best practices through the practical application of new software, hardware and field methods. WPS has established research camps in a number of international locations. Research camps are located in remote natural environments and consist of housing facilities, personnel, research equipment and communications infrastructure. These test sites provide a live environment to develop, refine and demostrate the latest in technology based conservation applications. Sue Thompson has extensive experience with both for-profit and non-profit organizations. For over 23 years, Sue was involved with two for-profit software companies, Columbine Systems, Inc. and Antalys, Inc., where she held key management positions including Vice President, Vice President of Sales and Marketing, and Chief Financial Officer. She is also a Principal in two real estate investment companies, Indigena, LLC and Laramie Ridge, LLC. Since 2002, Sue has been actively involved in many non-profit groups, as an officer, board member, and general supporter. She has also served for several years as a committee member of a major grant-giving foundation. Sue is currently on the board of Four Winds Interactive and the Boulder Kathmandu Sister City Project. Sue loves nature and is an outdoor enthusiast and animal lover. She is thrilled to bring her broad-minded acuity in both for-profit and non-profit organizations to her lifelong value for preserving lands and protecting the wild animals that live there. Sue also has a deep passion for dancing Argentine Tango and teaches in Boulder, CO.
Dave Weidner has a strong history of leadership in for-profit companies. Dave is a true entrepreneur who knows how to make things happen. His legacy has been in the software industry, where he founded two very successful software companies, Four Winds Interactive, which has ranked in the ‘Top 50’ list of Forbes most promising companies two years in a row, and Antalys, Inc. Previous to his two companies, he was President of Columbine Systems, Inc. He is a Principal in Indigena, LLC and Laramie Ridge, LLC, which are real estate investment companies investing in land, residential, and commercial properties. He is now applying his business acumen to his lifelong passion for wildlife protection and conservation. Over the years, Dave’s love of nature and the outdoors has led to numerous land acquisitions and subsequent conservation easement agreements, which ensures the continued welfare of the land and its key habitats. Now with Wildlife Protection Solutions, he is able to bring his enterprising nature, high-tech background, and love of animals together in service to wildlife conservation. David Levin Co-founded Four Winds Interactive in 2005 and has served as the president and CEO of the company since the company’s beginning. David holds a BS in Business with an emphasis in Marketing and Entrepreneurship Small Business Management from the University of Colorado, Boulder. As an undergraduate, David was the winner of the Leed’s School of Business business plan competition for a company he successfully raised financing for following graduation. Andrew C. Currie is an experienced entrepreneur and business leader passionate about helping endangered wildlife and the underserved people, especially children, who live with and near endangered wildlife. His work encompasses impact investing including land conservation for wildlife habitat, pro-Nature election work, democracy reform, engaged philanthropy, business consulting for wildlife NGOs and policy advocacy. 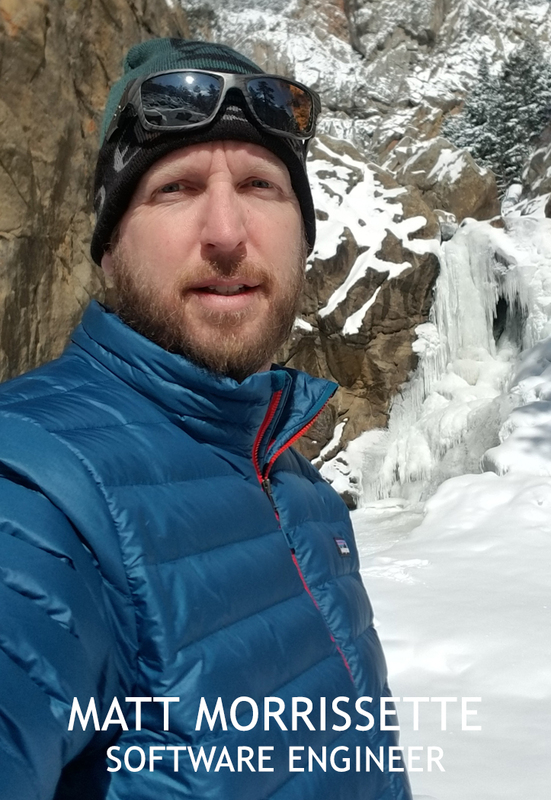 Andrew led a small impact investment team that helped create a 5,000 acre prairie wildlife preserve in Colorado, and as impact investor, aided in adding land threatened with development to James Peak Wilderness. He also uses media and storytelling with a TEDxBoulder talk on endangered species and human population growth and as creative director of the motion graphics piece ShiftGivingToNature.org. Katharina Haidenthaler is a Managing Director of BNY Mellon and has extensive experience in the financial service industry. She spent the last 16 years in various roles at BNY Mellon in both London and New York. After university, Katharina managed the marketing department of an e-commerce start-up company in Vienna. Katharina holds a Master’s Degree from Vienna University of Economics and Business. Having grown up on a farm outside Linz, Austria, Katharina has had a lifelong love for animals and nature. Her trips to South Africa, Rwanda and Uganda motivated Katharina to be more active in the protection of endangered species. Combining a deep understanding of technology with a passion for wildlife allows Eric Schmidt to approach conservation issues from multiple perspectives. 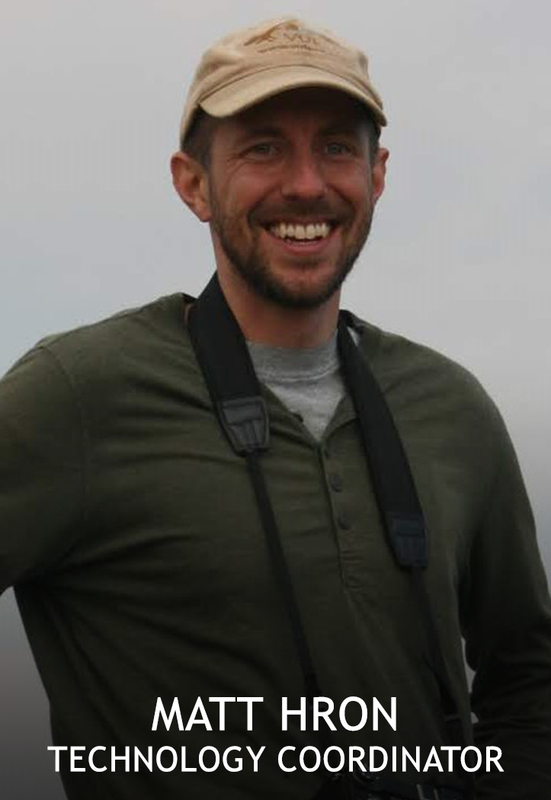 With a Master’s degree in conservation biology, Eric has worked with governmental institutions such as the US National Renewable Energy Lab and various local and regional government entities focusing primarily on grassland flora and fauna, as well as large mammal wildlife management. Having had a taste of conservation from the perspective of public institutions, Eric shifted gears and entered the world of tech startups, eventually leading large scale enterprise software deployments to Fortune 500 clients including Verizon, American Airlines, Ernst & Young, Deloitte, Hershey’s, Kaiser Permanente, Boeing, Intel, and more. Today Eric is back to applying those same skills to conservation by leading Wildlife Protection Solutions, an international NGO focused on protecting endangered species and ecosystems through the practical application of technology to field settings. Pierre studied Nature Conservation and has been working as head ranger for 21 years in numerous Big Five game reserves throughout South Africa. His involvement includes Big Five trails, leopard research, spotted hyena management, game breeding, and game farm management. In all of the roles he has held, anti-poaching has been one of his key areas of responsibility Pierre is honored to be working with WPS and extremely proud to be part of a network of conservationists protecting our natural Inheritance. Rosie is a sustainability advocate and conservationist with a passion for using technology to improve the lives of all beings on the earth. Her background spans technology and wellness; she earned her degrees in Mathematics and Computer Science and went on to work in outdoor recreation for several years. Having seen firsthand the relationship between time spent outside and a person’s general happiness, she is eager to protect the natural world and all of it’s inhabitants for future generations to experience and enjoy. George has made a career of blending field study and technology innovations to enhance biodiversity conservation. While working on his PhD in Costa Rica, he co-founded the Monteverde Cloud Forest Reserve and co-initiated the development of a national conservation plan for the country. He went on to study several Central American iconic species, producing data to steer protection of the region’s mega-biodiversity. As a biologist with World Wildlife Fund (WWF), George helped develop conservation plans for biodiversity hotspots across South America and researched protection strategies for jaguars, macaws, and other southeastern Amazon megafauna, with subsequent WWF assignments in Thailand and southern Africa. 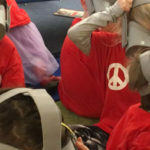 Joining WPS in 2019, he applies decades of field experience to our 360-degree virtual reality program, with the aim of exciting people about nature through filmed, close-up encounters with animals. Corey Lockman has been involved in WPS since it’s inception. Having been working in and with many philanthropic organizations for the last 20 years, he brings a wealth of experience and knowledge to the team. He is currently head of our South Africa operations, working with our property managers and our different project locations on the front-lines of conservation and promoting our anti-poaching efforts. It has always been Todd’s passion to connect the world around sustainability and environmental science. When it comes to the health of our planet and our increasingly global community, he believes sustainability is not just a buzz word anymore, but an imperative that we must all strive for. 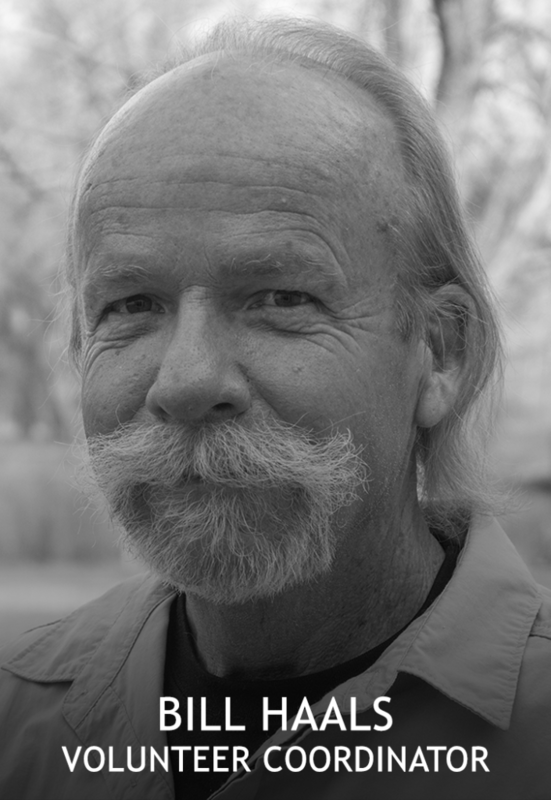 After receiving his degree in Environmental and Sustainability Studies from the University of Utah, he quickly turned his passion into action with the founding of an environmental education non-profit, EnviroHub, as well as with the creation of Colorado’s first glass-recycling company, Clear Intentions. He is incredibly enthusiastic about the mission of WPS and hopes to further diminish the plight of many endangered species around the planet. A long-time executive in the Information Technology industry, Gretchen elected to change focus following her first visit to South Africa. 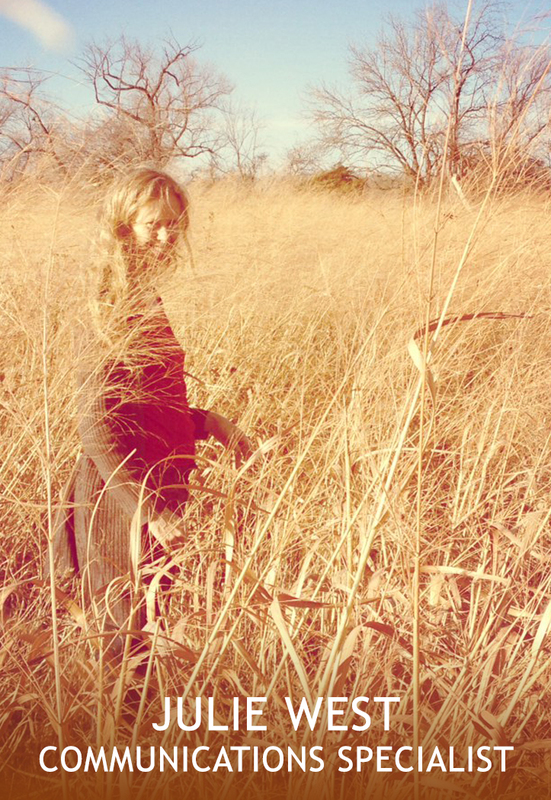 She now pursues a career that allows her to live and breathe Africa every day. Gretchen has consulted with travel companies, tourism boards, safari operators and non-profits on communications and social media strategy, and serves on the board of directors for two Africa-centric non-profits. 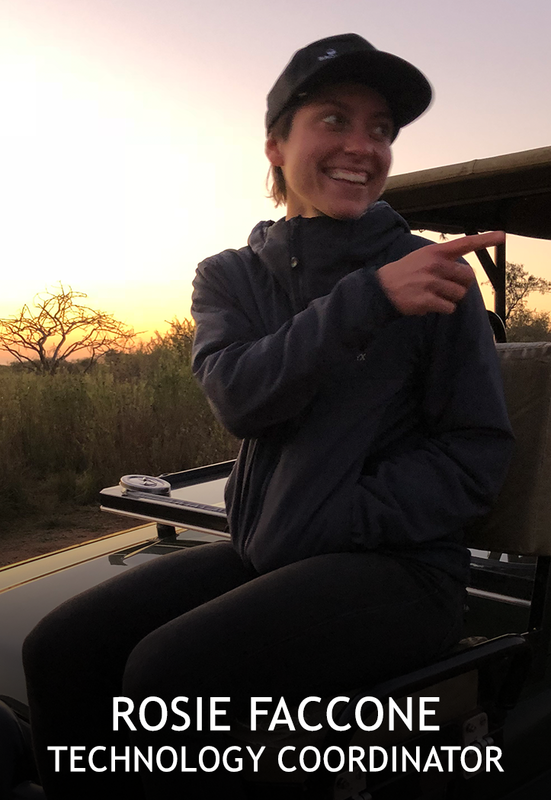 She brings a wealth of Africa travel experience and a large network of industry contacts on the African continent to WPS, along with a passion for preserving Africa’s wildlife and wild places. Sue works as a science editor and 360 VR filming assistant for WPS, bringing more than 25 years of experience in international conservation and research. She is also the contributing editor of the conservation technology section of the environmental news website, mongabay.com. Prior to joining WPS, Sue was a scientist and program manager for Biodiversity and Wildlife Solutions at RESOLVE, a non-profit centered on innovative environmental solutions, co-founding Mongabay’s tech website, facilitating tech development for field applications, and writing about the impacts of forest loss on apes. 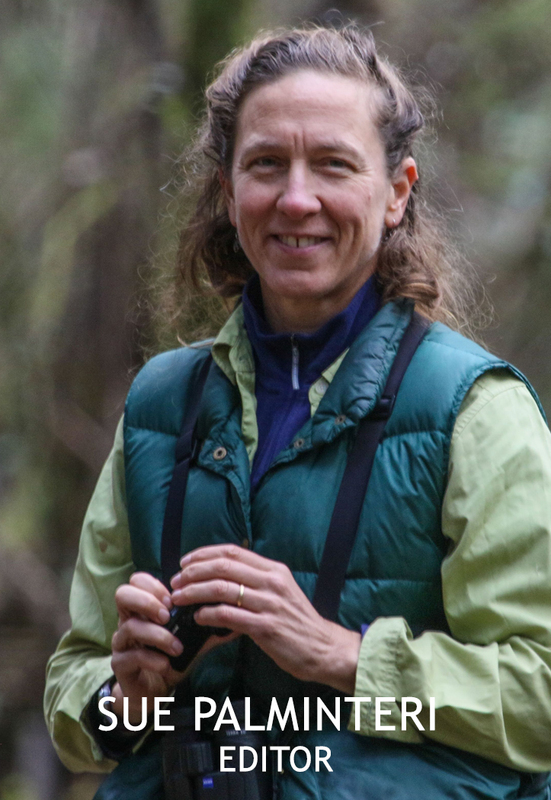 With a PhD in ecology from the University of East Anglia (UK) and a master’s degree in environmental policy from Duke University, Sue has focused her fieldwork on the resource needs of mammal and bird species in Central and South American tropical forests. 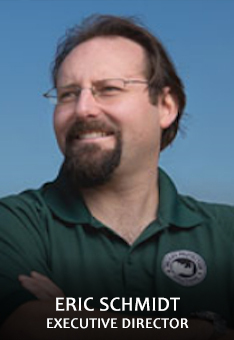 Michael comes to Wildlife Protection Solutions by way of the U.S. Patent and Trademark Office, where he served in the role of a Patent Examiner for over 11 years, with over half of that time in the capacity of a Primary Patent Examiner. Prior to his work for the USPTO, Michael studied Computer Engineering at The Pennsylvania State University, from which he received a Bachelor of Science degree in 2005. He brings a strong technical background to the team and is eager to apply his knowledge to address the needs of the conservation world. From her early years building a socially relevant youth theater to starting a business as a trapeze artist to helping non-profits clarify and reach their potential through marketing and development initiatives, Lisa has sought work that aligns with her passion for personal and societal transformation. Prior to WPS, she was the Marketing Director for a multi-million dollar retreat center in the Colorado Rockies. Lisa considers herself fortunate for the opportunity to be a part of this team of wildlife enthusiasts working to protect endangered species. Julie integrates journalism with educational outreach and digital media production to communicate the work of WPS and inspire wildlife stewardship. Prior affiliations include universities, publishing companies, conservation organizations, and government agencies, including the National Park Service, where she created science communications content around issues and solutions affecting park resources. Big cat protection is an area of passion, which she took to India in 2014-15 as a Fulbright Research Scholar, examining tiger conservation in a context of science, philosophy, and eco-cultural traditions. 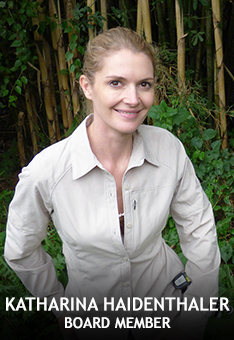 WPS is Julie’s ideal job for synthesizing professional and personal goals in service of endangered wildlife. Mike comes to WPS with a wealth of experience in conservation projects. With over thirty years in conservation and project management, he’s been instrumental in helping to get official recognition for a 2.7 million expanse of rainforest in the north of Sumatra as a conservation area. 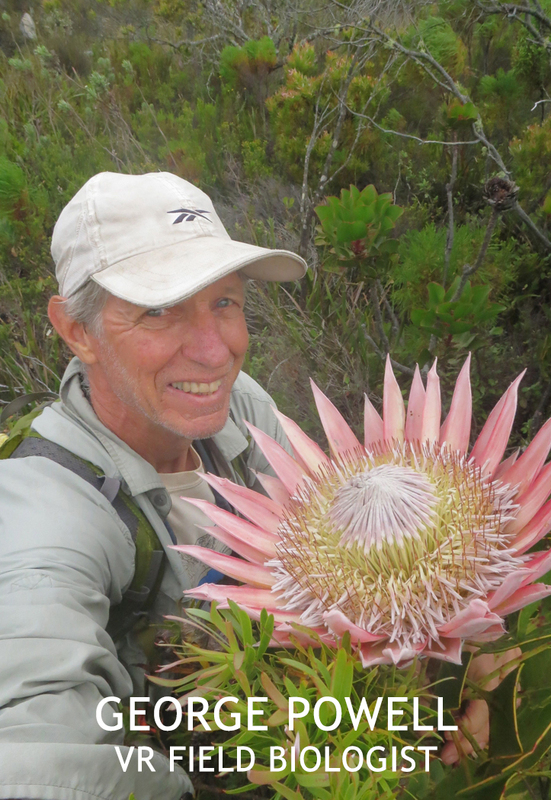 Bill Haals’ interest in flora and fauna conservation started years ago as a Boy Scout in Colorado and then intensified during his time in Antarctica of which during the 1990’s was a large on-going cleanup of the US stations and research areas. Bill spends a lot of time at our different project locations helping with our apps monitoring and anti-poaching. He also doubles as a WPS photographer. After 12 years working in various technical roles in healthcare IT, Matt decided to follow his passion and pursue a career in wildlife conservation. He worked closely with several endangered species at VulPro in South Africa and the Denver Zoo before joining WPS. He brings a strong technical background, knowledge of wildlife ecology, and passion for making the world a better place through connecting people to nature. Matt got his bachelor’s degree in Zoology at the University of Wisconsin and is currently pursuing his Master’s degree in Biology from Miami University. Frank comes to WPS with a wealth of knowledge as a software developer with decades of experience and success delivering mission critical systems. Accomplished in full software development lifecycle capacities including requirements analysis, agile project management, design, architecture, development, continuous integration, automated testing, and deployment. Arrie has been working in South Africa, and other areas around the world, for the last 50+years. An expert in ranch managing and game-breeding, he’s been supporting WPS in it’s efforts to boost white rhino populations in South Africa. Matt grew up on a small farm in rural New England. He spent much of his growing years exploring and connecting with the natural world. After spending more than a decade developing software for various organizations in the business world, he joins the WPS Team to combine his technical skills with his passion for nature and conservation.